Rance from Rance series, a brutal warrior with a carefree nature and Darx from Bunny Black series a man who climbed up the rank to become a demon Overlord; both are kichiku warriors by nature, motivated by sexual instincts instead of love or justice. 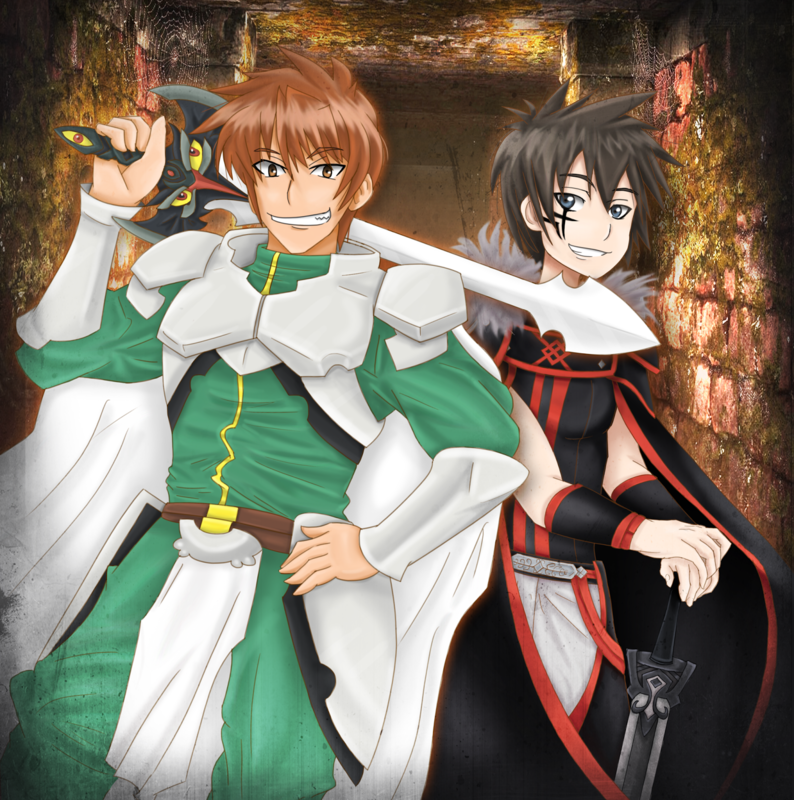 They are master in dungeon travelling, monster slaying and woman inseminating, and their adventure are something that should be looked into. 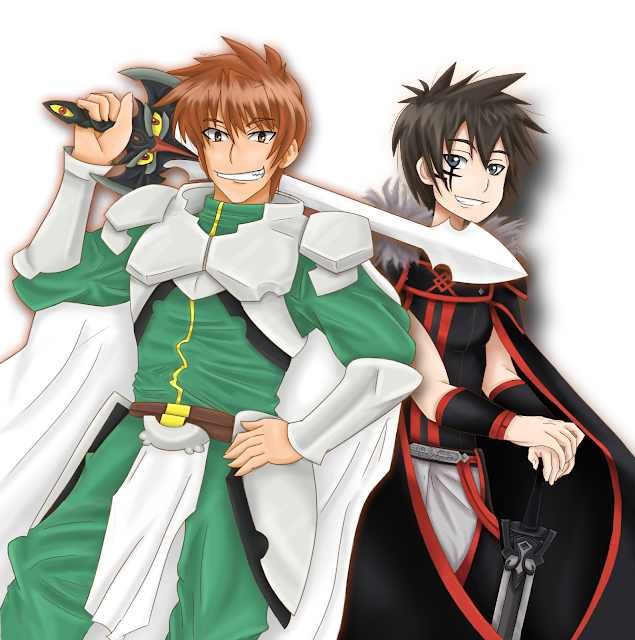 Rance and Darx are both my favourite eroge protagonist, which deviate from your usual nice guy trope and instead goes with a more 'anti-hero' personalities, yet at the same time manages to save the day. Both of them are a dynamic duo, and who knows how many woman's would fall to their prey if both of them met together? My name is Rance. I'm a hero of justice, sacrificing myself for the sake of the world and everyone in it. He was killed once, but got resurrected and turned into a demon minion.